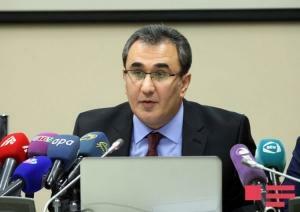 Medicine prices has turned into one of the hotly-debated topics in Azerbaijani society after Tariff Council began to adjust prices for a number of medicines since 2014. To date, the state regulated prices for more than 10,000 drugs, said Ilkin Majidov, the secretary of the country’s Tariff (Price) Council as he addressed a press conference on February 16. "Unlike other products, citizens do not have appropriate information about medicines. If the state does not regulate the prices of medicines, then cases of abuse may be observed. In Europe, drug prices are also regulated,” he said. Majidov further noted that medicine prices in Azerbaijan are regulated based on the exchange rate of the national currency manat against the U.S. dollar. “Under the legislation, the prices of medicines fall in case the manat rate strengthens against the U.S. dollar and rise in case the manat rate weakens against the U.S. dollar,” he clarified. The secretary recalled that the last regulation of medicine prices was carried out on November 28, 2016 based on the manat rate against the dollar. At the time the rate was 1.7196. Adviser to the Economy Minister Manaf Bayramov, in turn, said that before the regulation the medicine prices did not correspond to the market. “Before the price regulation in the country, medicine produced in India was sold for 15 manats ($8), while drug with the same composition produced in Germany for 4 manats ($2.3). Establishing single prices for medicines is aimed to improve the level of medical services provided to the population and combating price gouging. All medicines imported to Azerbaijan are examined before reaching pharmacies and hospitals. The country bans the import of medicines into the country without a license, permission, or other relevant documents. The import of drugs to the country increased some 20 percent in 2016 as compared to 2015, with some 80 percent of drugs being imported from the European countries and the remaining part falling to a share of Russia, Ukraine and Belarus.